Michael A. Ott is a disabled U.S. Navy veteran from Stagecoach, Nev. He served as an engineer during the Vietnam War. Mr. Ott suffers from Alzheimer’s and his wife, Sally Ott, cares for him. He has nearly 20 medical appointments each month at the Reno Veterans Affairs Medical Center, more than an hour’s drive from their home, but the condition of their 2008 Ford pickup and financial situation have made it difficult to get the medical care he needs. 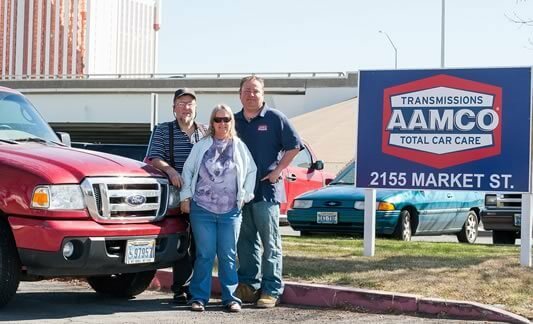 Mr. and Mrs. Ott picked up their newly repaired pickup today from the AAMCO of Reno service center, at 2155 Market Street, where the services were provided free of charge. The couple dropped off their pickup on Mar. 25. Technicians conducted a complete diagnostic inspection, and then made the needed repairs that included a transmission service, fuel, air and oil filter replacements, a differentials fluid change and tune-up.